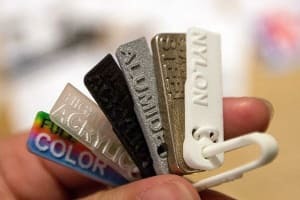 Wire arc additive manufacturing (WAAM) and big area additive manufacturing (BAAM) are two of the most common approaches for 3D printing at large scales, but they aren't the only game in town. 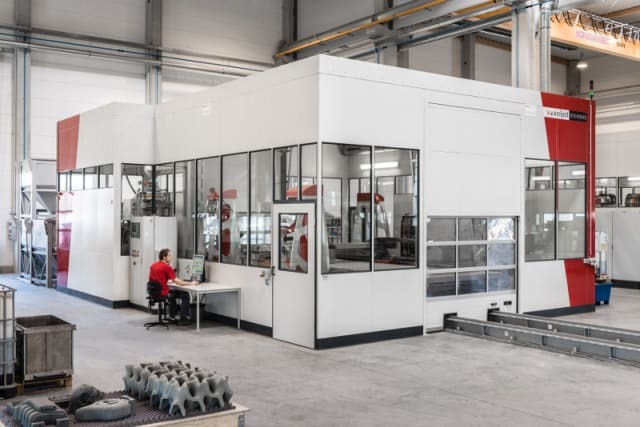 In many ways, the state of large-scale additive manufacturing today resembles that of 3D printing more broadly at the turn of the millennium. In that bygone era, the excitement surrounding 3D printing as a production technology was almost palpable. The optimists dreamed of replacing turning centers, 5-axis machines—even whole factories—with nothing but 3D printers. As the fervor reached its peak, we seemed poised to enter a new age of additive manufacturing. Yet, despite all the enthusiasm, that revolution never came. 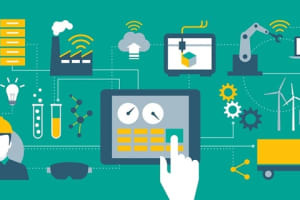 Now, you might claim that the fourth industrial revolution is still on its way, or that the use of 3D printing as a production technology is still growing, just not as quickly as initially expected. 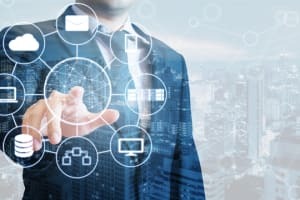 Hype is often the result of focusing on new technologies in the abstract without considering all the nuances involved, which naturally leads to overly inflated expectations. 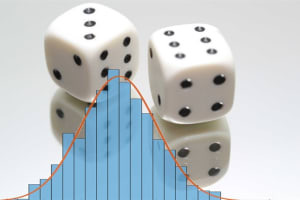 A better understanding of the underlying engineering tends to temper the hype. 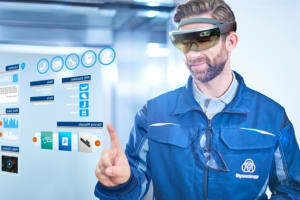 Still, even if 3D printing isn’t going to supplant all of the more traditional manufacturing methods, it seems uncontroversial that additive manufacturing will continue to proliferate throughout the sector. 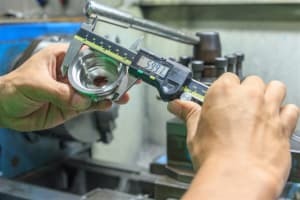 Metal additive manufacturing has certainly made some serious leaps forward in the last few years, but rather than focusing specifically on materials, it’s worth considering an even more fundamental aspect of 3D printing: build volume. 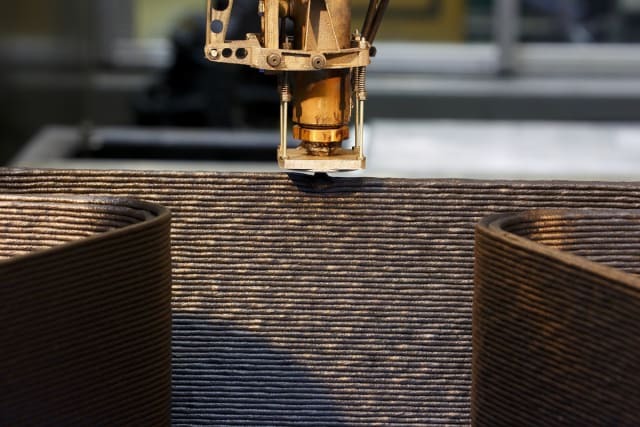 Are large-scale 3D printers the gateway for additive manufacturing in production? How Large Are the Largest 3D Printers? If we’re going to discuss large-scale additive manufacturing, we need to be clear on what that means. 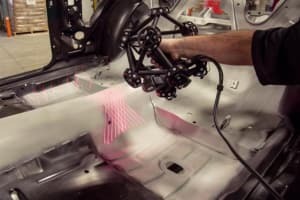 Stratasys’ H2000 was introduced at IMTS 2016 as the Infinite Build 3D Demonstrator. 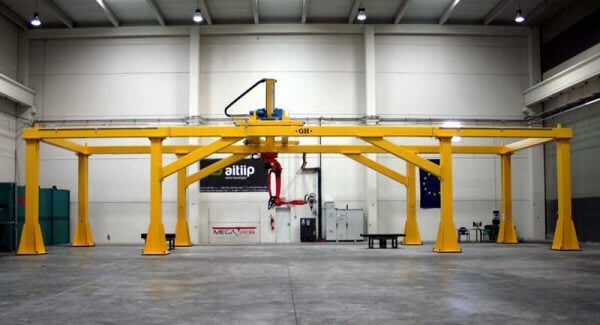 This machine holds the top spot for industrial 3D printers in terms of build volume, since it’s theoretically capable of producing parts with infinite lengths. 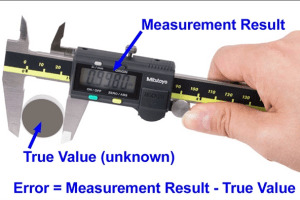 However, since you still won’t find it outside of a few pilot projects, a better candidate for defining the upper limit of large-scale additive manufacturing is the Cincinnati Incorporated BAAM system. 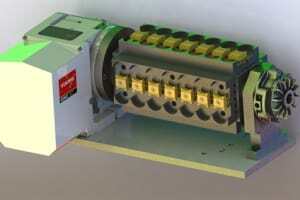 BAAM systems are available in two sizes: 140 in x 65 in x 34 in and 240 in x 90 in x 72 in. 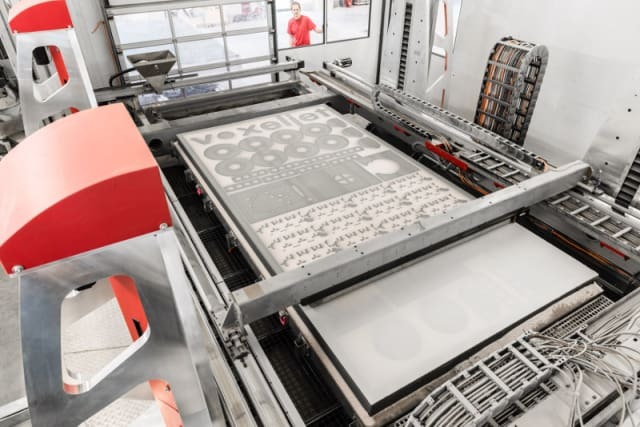 voxeljet AG's VX4000 is another contender for largest industrial 3D printer—the company billed it as the largest industrial 3D printer in North America when it was installed at voxeljet’s Canton, MI facility in 2016. 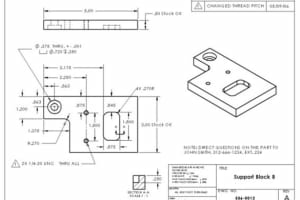 With a build envelope measuring 157 in x 79 in x 39 in, the VX4000 was designed for printing sand molds used in the casting of large components. 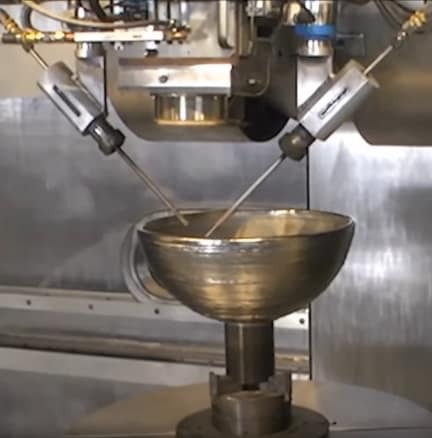 For metal 3D printing, the largest commercially available machine is Sciaky’s EBAM (electron beam additive manufacturing) 300 Series, with a build volume of 228 in x 48 in x 96 in. 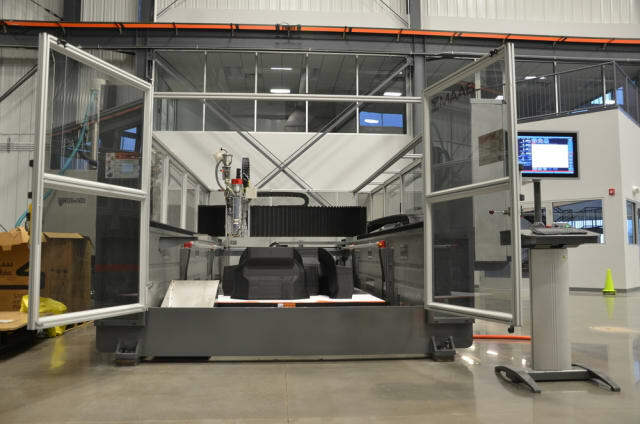 GE Additive’s Project ATLAS (additive technology large area system) is the largest powder bed fusion (PBF) system, at 43 in x 43 in x 12 in, but it’s still in beta testing. For the moment, the largest PBF machine is the Xline 2000R from Concept Laser, acquired by GE in 2016, at 31 in x 16 in x 20 in. Setting a lower limit for large-scale 3D printing is more difficult. Desktop units—such as those from Ultimaker—obviously don’t count as large format, but what about HP’s Multi Jet Fusion series? 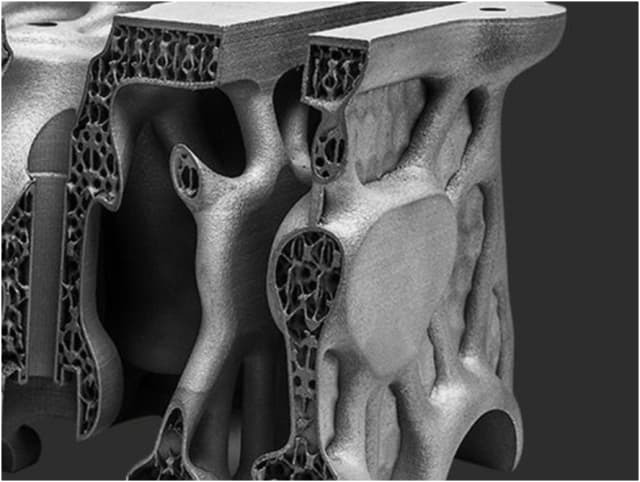 Drawing a dividing line for metal 3D printing is even more challenging, since you don’t find the same radical differences in scale at the extremes—barring some unusual exceptions. I suspect we have a bit of a sorites paradox on our hands. So, rather than setting an arbitrary lower limit on build volume, I propose to adopt the following 20-Questions-inspired convention: a 3D printer only counts as large-format if it can produce parts that are bigger than a breadbox. 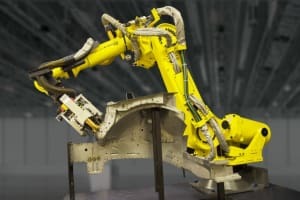 This at least gives us a starting point from which to consider the focal question of this article: Are bigger 3D printers the way forward for additive manufacturing in production? 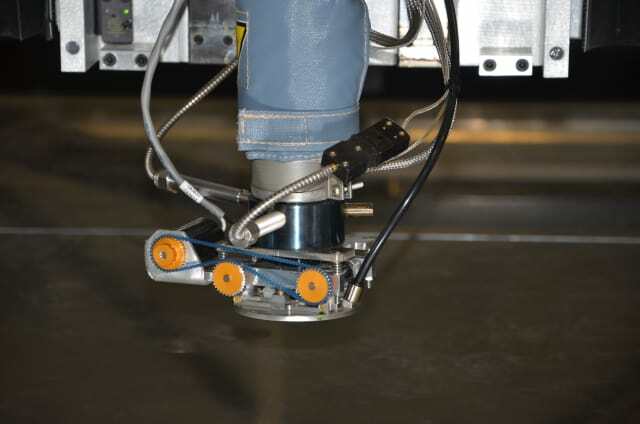 There are several approaches to 3D printing at large scales, but they all involve either building bigger machines—such as the BAAM and EBAM systems—or mounting an industrial robot on a rail or gantry and equipping it with additive capabilities, as is often the case for WAAM. 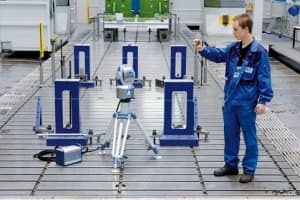 WAAM certainly qualifies as large scale; according to Gratschmayr, MES can make parts up to 42 m x 6 m x 2 m. It’s also useful for maintenance, repair and overhaul (MRO) operations, since it allows you to rebuild worn-out features on a damaged component by depositing new metal directly onto its surface. 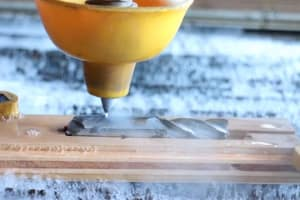 One of the biggest advantages of WAAM is that it’s based on a manufacturing technology that’s been around for centuries: welding. 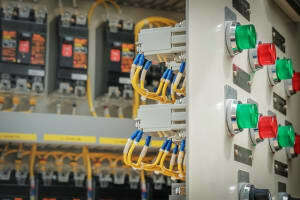 In fact, WAAM hardware generally consists of standard, off-the-self welding equipment, including the power source, torches and wire feeding system. 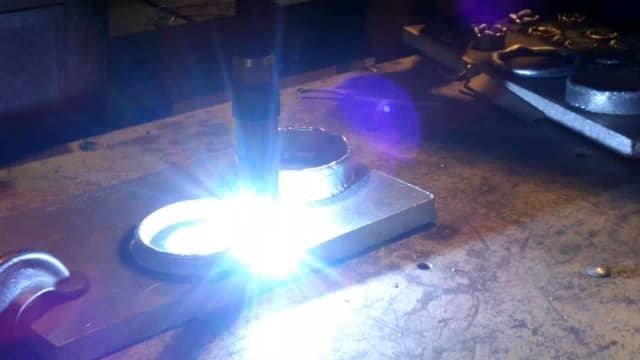 This makes it an appealing option for those who aren’t ready to invest in a standalone metal 3D printer, particularly if they already have experience with welding. Despite this initial success—though perhaps not surprisingly—neither Oakridge nor Lockheed were interested in entering the 3D printer business, and so they needed a commercial partner. 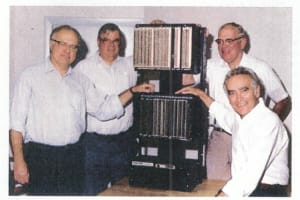 Cincinnati, Inc. was, in Neff’s words, “in the right place at the right time.” The company formed a cooperative R&D agreement with Oakridge to pursue BAAM technology, and that partnership is still ongoing today. 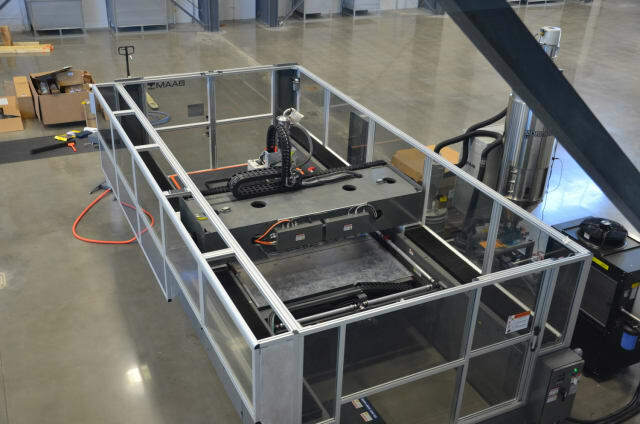 Although WAAM and BAAM are useful introductions to large-format additive manufacturing for metals and plastics, respectively, there are many other large-format systems and processes out there. For example, the Xline 2000R and the ATLAS both employ PBF, which is a common approach to 3D printing both plastics and metals. 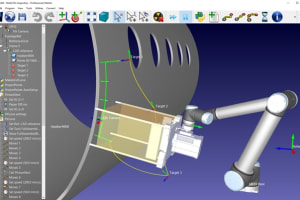 From a process standpoint, both machines are similar to Concept Laser’s other, smaller systems. Some other large-format systems differ from their desktop counterparts not only in size, but technique. Three in particular are worth noting. 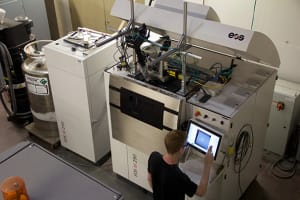 Despite becoming commercially available almost four years ago, Sciaky’s EBAM still holds the top spot for large-format metal additive manufacturing. 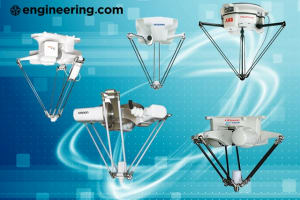 Since then, EBAM systems have been utilized or purchased by major players in the aerospace and maritime industries, among others. EBAM uses wire as its feedstock, making it more similar to WAAM than to PBF. 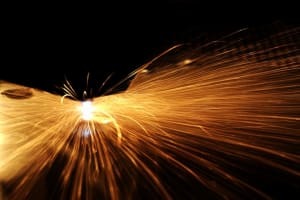 However, whereas WAAM is most comparable to MIG welding, EBAM is closer to TIG welding, since the wire feedstock is combined with a separate heat source (in this case, an electron beam), rather than acting as an electrode itself. 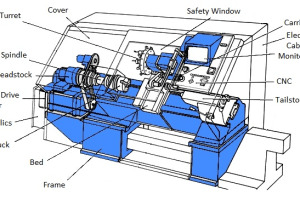 This process is more generally known as directed energy deposition (DED). The VX4000 may not be the world’s largest industrial 3D printer per se, but it is the largest industrial 3D printer for sand molds. 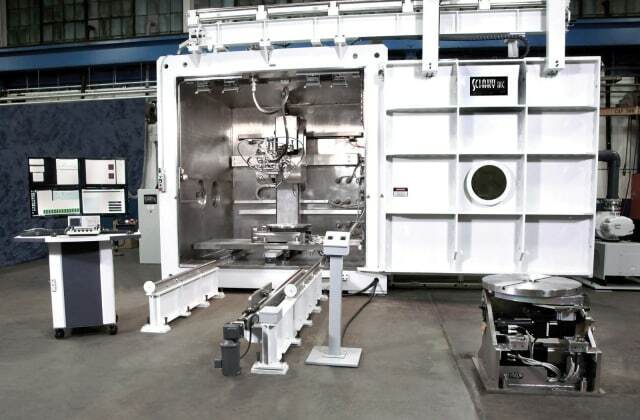 While it can be used to produce multiple molds for series components, the VX4000 was clearly designed with the production of large individual molds in mind. Rather than lowering the build platform with each new layer of the printer process—as is common in PBF—the print head and coater on the VX4000 are raised. 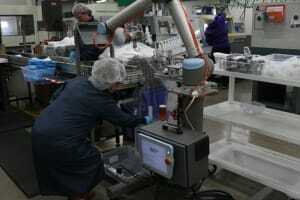 This allows the machine to bear significantly more weight. 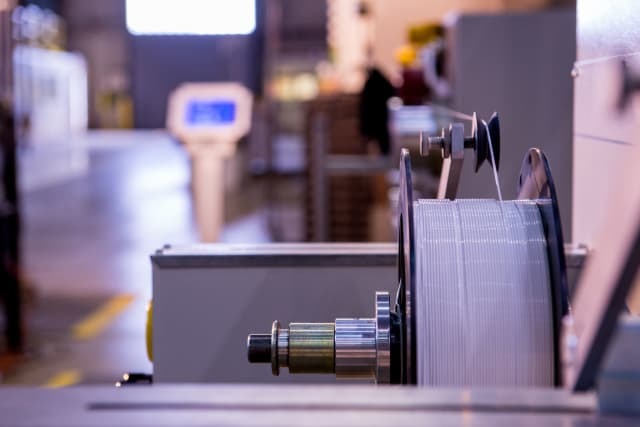 The printing process on the VX4000 falls under the category of binder jetting, in which a liquid binding agent is selectively deposited on a substrate in order to join the individual particles. In this case, the binding agent is a phenolic resin deposited by the print head and the substrate is raw silica deposited by the coater. 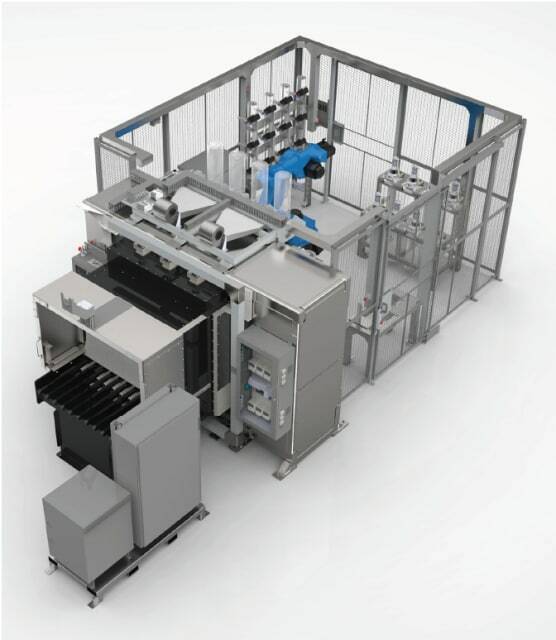 According to voxeljet, the print head on the VX4000 is wide enough to print a complete layer in just two passes. The KRAKEN project is probably one of the most exciting, yet least known developments in the realm of large-format additive manufacturing. 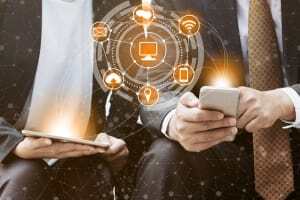 Started in 2016, the project is a collaboration between six large companies, five SMEs, three research organizations and one industry association. 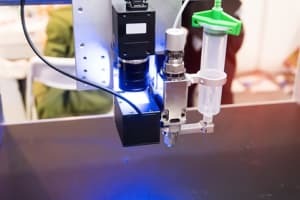 Together, these groups are developing a large-format robotic cell that combines additive and subtractive technologies into a hybrid, multi-material system capable of producing parts up to 67 feet long. Although the KRAKEN has already seen some use in production—including making a body-in-white for the Alfa Romeo 4C—the goal of the KRAKEN project is to use the platform to address a number of engineering challenges more broadly. 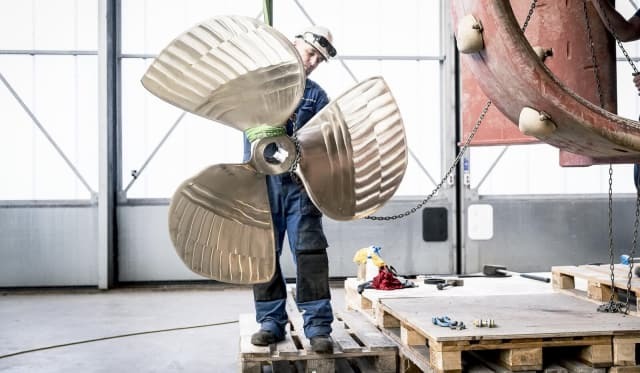 For example, the KRAKEN currently utilizes an epoxy- or polyurethane-based thermoset resin, which the project researchers have learned to tune for ease of dispensing, sag resistance and other desirable properties. 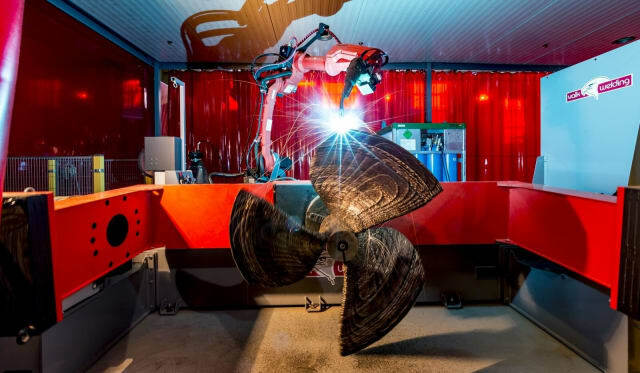 You may not find a KRAKEN on the average shop floor anytime soon, but as an exemplar of the capabilities and challenges of large-format additive manufacturing, it’s certainly noteworthy. 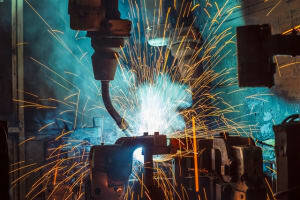 Thus far, this article has been essentially agnostic on additive materials—there are large-format 3D printers for metal, plastic, sand and other materials as well. In the case of powder bed fusion in metal additive manufacturing, the same feedstocks that run on Concept Laser’s smallest machine—the Mlab Cusing, with a build volume of 1 ft3—also run on the Xline 2000R. 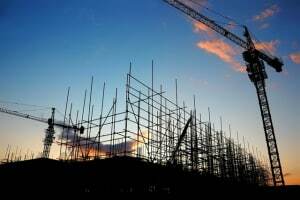 This is due to the strict environmental controls involved, and the relatively small difference in build volume. For plastics, the material differences between large-format 3D printers and desktop 3D printers are considerably larger. Both the Monoprice Select Mini sitting on my desk at home and BAAM are capable of printing ABS, but it should come as no surprise that the requirements for each machine are radically different. 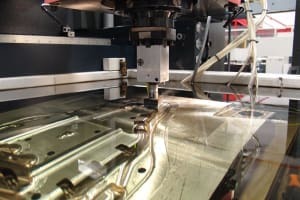 The material challenges of large-format additive manufacturing are the logical consequences of it being large format, i.e., printing in ambient conditions, high rates of material deposition, managing cooling across comparatively long distances and, often, producing parts with no support structure. 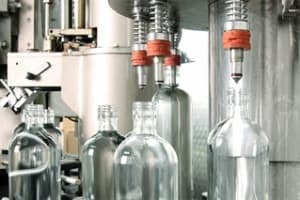 For this reason, feedstocks that have been specifically designed for large-format—such as SABIC’s THERMOCOMP compounds—are becoming more common. 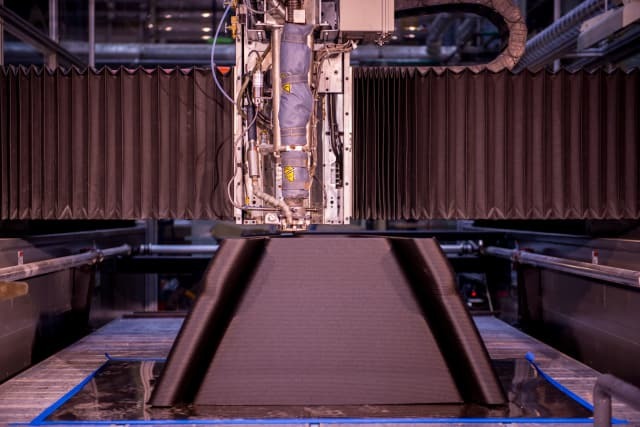 We can discuss specs and materials until the cows come home, but to really get a sense of what large-format additive manufacturing is capable of, you need to look at the applications. There are many use cases for large-format 3D printers, but even a few should be sufficient to illustrate their capabilities. In total, additive parts account for 30 percent of the weight of the vehicles deployed in Local Motors’ pilot programs, but the contributions from its two BAAM systems don’t stop there. 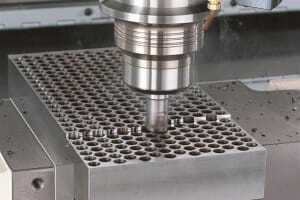 Certification is a major hurdle for any new production method, including large-scale additive manufacturing. 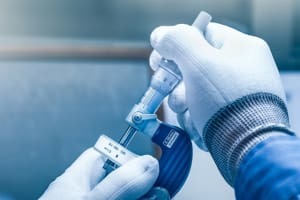 That’s part of what makes the WAAMpeller project significant: “We have already proven with our WAAMpeller that certification of parts made with WAAM is possible,” said Wegener. 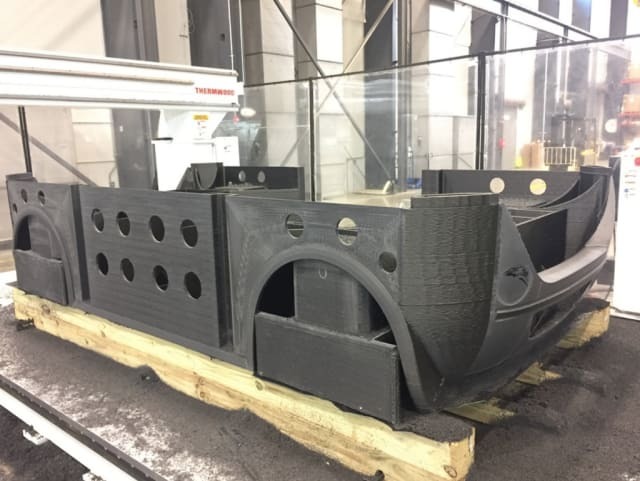 For Roush, the biggest advantage of having a large-format 3D printer is being able to deliver parts faster, and at lower cost than their competitors. 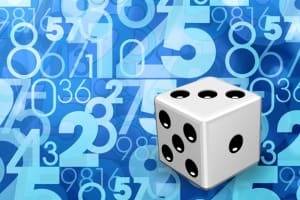 “Time is definitely of the essence when it comes to product development. 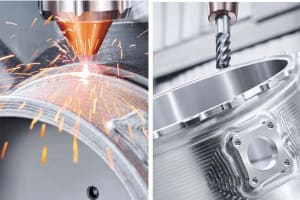 Having these additive manufacturing capabilities—especially when the components are designed with additive in mind—can greatly reduce cost and lead time,” said Badami. 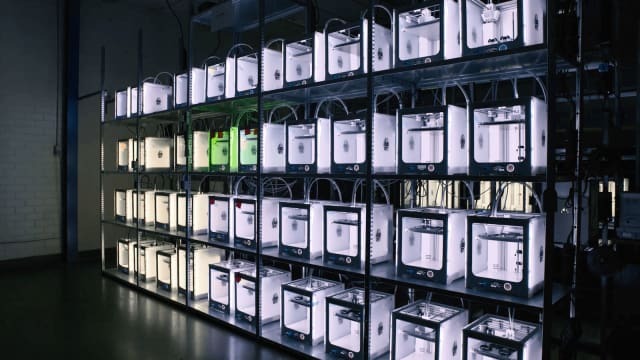 It should come as no surprise that large-scale 3D printers have many of the same advantages as their desktop counterparts, such as greater design flexibility and shorter lead times. But how do these additive behemoths compare to their diminutive predecessors? 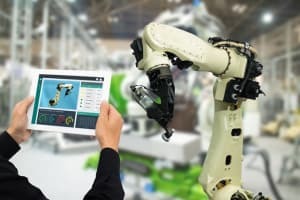 If we accept that 3D printing is not only here to stay, but also still growing, the question is whether the proliferation of additive manufacturing for production is more likely to come in the form of individual large-scale machines, or collectives of smaller, even desktop-sized 3D printers. In other words, if you need to print large parts, then you need a large-scale 3D printer. “Piecing things together, gluing them together—it’s not really practical in prototyping, so it’s definitely not going to be practical in production,” Kawola said. 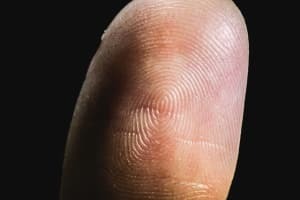 Of course, large-format 2D printers aren’t designed to print multiple letter-sized sheets of paper, whereas large-scale 3D printers are more than capable of printing multiple smaller parts simultaneously. 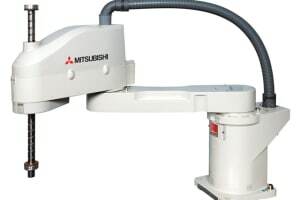 That option is explicitly cited for the VX4000, and some metal 3D printers already offer dual laser setups that allow two parts to be printed simultaneously. 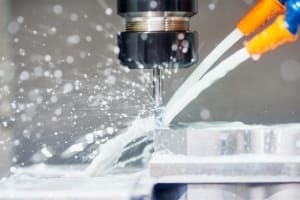 Could this approach—coupled with the high deposition rates of large-scale 3D printers—give additive manufacturing a way to produce parts at rates comparable to more conventional processes? 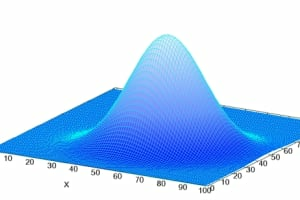 Kawola was skeptical, at least for some additive processes. Despite what fast food franchises, HD TV retailers and Hummer salesmen would have you believe, bigger isn’t always better. 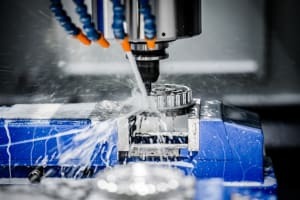 The answer to the question of whether large-scale additive manufacturing is right for your application depends on your answers to a host of other questions. 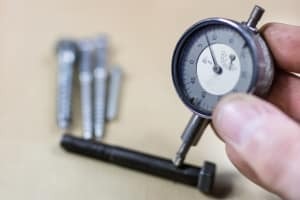 Many of these are the same ones that anyone interested in 3D printing should ask, but a difference in size also makes a material difference to how you should approach this emerging technology. 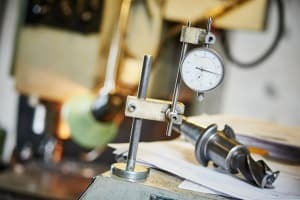 A large-scale 3D printer may not be your best option for making end-use parts, but it could be a good way to improving your tooling efficiency. 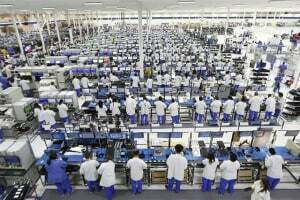 Do you believe large-scale 3D printing will disrupt manufacturing or remain a niche technology?